"Siva Rama Krishna, give us a break at Chepauk." The giant Air India hoarding on Mount Road (now Anna Salai), the nerve centre of the city, bellows out a fervent prayer. It isn't the Hindu gods being invoked. No, the intervention is sought of a 19-year-old legspinner, who gobbled up 12 English wickets in Bombay, in only his second Test. England have since levelled the series 1-1 in Delhi and proceed to slam the door shut on the hosts in Madras. The prayer goes unanswered. India and Pakistan. The final of the World Championship of Cricket. With sleeves rolled up to the elbows and two enormous wristbands sheathing his forearms, a gaunt figure twirls the ball vigorously. He gives the field no more than a cursory scan before bounding in to toss one up. Imran Khan pushes to point and takes off for an impossible single; Sunil Gavaskar swoops down on the ball and hits the stumps direct. The bowler soon dismisses Saleem Malik, but it is his next ball that gives heft to the hype surrounding him. Javed Miandad follows one that veers away and Sadanand Viswanath pulls off a neat stumping. Drift, dip, turn, sucker punch. The bowler finishes with 3 for 35. India go on to a historic tournament win. India and Pakistan meet again, this time at the Four Nations Cup. Pakistan are looking to make light work of a target of 126. The young legspinner, however, is niftily shredding their plans. He has Ashraf Ali caught at silly point. Enter Imran Khan, for once without the crowd behind him. "Sheeva, Sheeva," goes an uninterrupted chant that acquires a menacing rhythm as the bowler uncoils into his final stride. He bowls a generously flighted googly, and Imran stretches out in defence. Not long after, he jumps out decisively, but the ball is doing its handler's bidding and passes the batsman in a fizzy blur as Viswanath completes a swift stumping. Pakistan crash to 87. The prayers are answered. 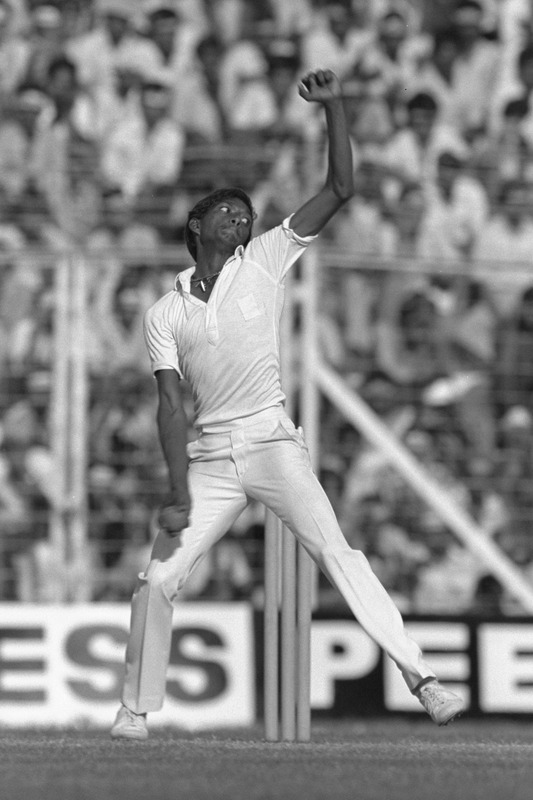 Laxman Sivaramakrishnan was at the apogee of his short international career. Young, prodigious and successful, he appealed to a generation still infatuated with the early charms of television. In two years he would go from adorable, pint-sized poster boy to wasted talent. In hindsight, he would rather not have risen that quickly. Many summers would fade before he would resurrect himself. Sivaramakrishnan is in Hubli on commentary duty for the Karnataka Premier League when I contact him for the purpose of this piece. He is intrigued. His questions are on the lines of, "What, and why, do you want to write about me now?" I explain that his life, with its layers of rise, fall and redemption, is a story worth revisiting. After another round of questions and clarifications, I am promised a couple of hours once he is back in Chennai. About two weeks after our first conversation, we meet at his house. Sivaramakrishnan has a reputation for punctuality, and when I arrive at his house on a sultry October morning, he is ready for the interview, attired in shorts and a body-hugging blue T-­shirt. For many years now he has lived in Abhiramapuram, a reasonably posh south Chennai locality. He has lived all his life in different parts of southern Chennai, which has supplied Tamil Nadu with a number of cricketers. The house is spacious but without any intimidatory grandeur, and contains only a few reminders of his playing days. The elegant furnishings and cosy arrangements are of an upper-middle-class sensibility. We sit in the drawing room, lit up by sunshine pouring in through a large window, and begin talking about his early years. "If you are an alcoholic you will be busy drinking. If you are a drug-addict you are gone, you have passed out, how can you be a womaniser with that?" Sivaramakrishnan - Siva or LS as he is popularly known - says he was raised in a household that gave him the freedom to pursue anything that interested him. He credits that to his father, a self-made man who built a fairly successful edible-oils business. The youngest of four sons, Siva had to humour his brothers and their friends by bowling to them every evening. It was invaluable practice, as the summer days spent flicking and twirling the tennis ball helped strengthen his fingers. He took to legbreaks from the beginning: it was the easiest way to spin a tennis ball. Once Siva started playing in the Tamil Nadu Cricket Association league, his career whooshed along in the high-speed lane, and he found himself in places beyond the reach of kids his age. He was shy of 15 when he made it to the India Under-19 side, where he first met Ravi Shastri, the captain. One former India cricketer uses the word "smitten" to describe Sivaramakrishnan's fascination for Shastri's cricketing smarts; it is an association that endures even now. With India's spin arsenal depleted after the decline of the quartet in the 1980s, the selectors were betting big on young spinners. That Chandu Borde, himself once a legspinning allrounder, was the chairman of selectors helped Siva's case. Even as a selector in junior cricket Borde found Siva's talent irresistible. It was only a matter of time before he was fast-tracked into the big league. "Let's go out for lunch." India's two young spinners, Shastri and Siva, saw their captain Gavaskar's invitation as an opportunity for some low-intensity shop talk ahead of a big game - India's first match in the World Championship of Cricket, against Pakistan in Melbourne. It was a given that the conversation would veer towards tactics and team composition. Siva, for one, knew he had no chance of playing; he would have wagered his bank balance had anyone suggested otherwise. He had not played the one-day series against England three months earlier - or, for that matter, any one-day international until then. Heck, even his club side didn't trust him in a 50-over game because legspinners were supposed to be run-leakers. His inclusion in this squad had confounded him so much, he remembers pestering his best buddy and room-mate, Shastri, about why he had been picked at all. Shastri's understanding was that it was meant to be an acclimatisation trip ahead of India's Test tour to Australia the following year. "What field would you like to bowl to tomorrow?" Gavaskar asked at lunch. Siva was startled, and looked at Shastri. "But Ravi told me I was here only to gain experience," Siva said to Gavaskar. "No, you are playing tomorrow," Gavaskar replied casually, and proceeded to reveal the plan brewing in his head. He had factored in the long boundaries and wanted to engage Shastri and Siva in the middle overs. The brief was simple: Shastri would play a holding role at one end while Siva would attack. It didn't matter if he went for 50 runs in ten overs, expensive by the standards of the day, as long as he picked up two or three wickets. The next day Shastri and Siva conceded 76 runs in 20 overs and picked up two wickets between them, and India achieved a comfortable six-wicket win. Gavaskar had seen enough to firm up the template for the tournament: the seamers, led by Kapil Dev, would make the early incisions before the two spinners took over. A former India batsman who wished to remain unnamed says Siva was the only cricketer liked by both Gavaskar and Kapil Dev during the "peak of their animosity". Siva himself feels Gavaskar and Shastri handled him the best, along with S Venkataraghavan, his first captain at Tamil Nadu, because of their belief that a legspinner was meant to hunt down wickets. Siva gives the impression of being secure under captains who were big on analysis and spelt out well-defined strategies. He was fascinated by Venkataraghavan's far-sightedness in the 1980s, when he would exhort bowlers to videotape their actions and work out their mistakes. On Siva's first-class debut, it was Venkataraghavan who stood him near the umpire, pointed to the footmarks outside leg stump and asked if he could land his legbreaks on the patch. Siva took seven wickets in the second innings of that game. It was a mode of operation that would come in handy many years later, when Sachin Tendulkar sought him out to prepare for Shane Warne. "Venky always wanted you to think and talk cricket, and that's the way I was brought up," says Siva. "Even when you sat next to him and watched your team bat, he would ask how you would bowl [in that situation]." Coming from such an environment, Siva was a natural talker and among the first to pipe up in Tamil Nadu's team meetings, in an era when the implicit code was for youngsters to keep quiet in the presence of senior players. When he went on his maiden Test tour, to Pakistan in 1982-83, he was seen as a bit of a whippersnapper after he made a point during a team meeting. Siva's face contorts into a low chuckle when he remembers that meeting. "I was taken aback," he says of his team-mates' puzzled looks. "They then asked me, as a polite thing probably, if I had anything to say." "Gifted" and "talented" are stock themes in any discussion on Siva. You could add "confident" to the list, even if some felt "brash" was more appropriate. Shastri remembers Siva as a "little brat" during their U-19 days. "Even at that age he would teach us a lesson or two," Shastri says. "I look at him as probably India's most naturally gifted cricketer along with Kapil Dev in the '80s." Sanjay Manjrekar, the former India batsman, and Siva's colleague in the commentary box, feels Siva burst through as a genuinely precocious youngster. "LS was actually very close to being a prodigious talent, not just with legspin," he says. "Even at that young age he stood up to the West Indies fast bowlers down the order, and he was a brilliant fielder as well." 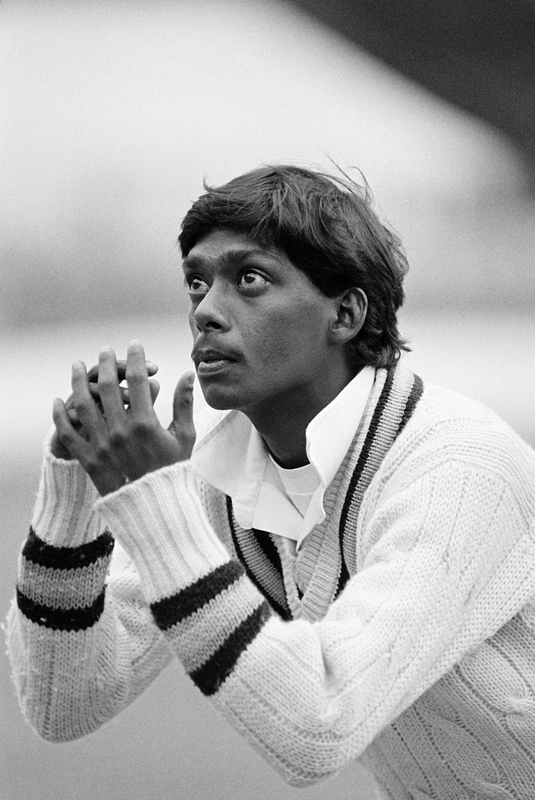 Siva wasn't given a debut on that Pakistan tour, but got it a few months later in Antigua, at 17 years and 118 days, making him the youngest Test player in Indian history. The match panned out uneventfully for Siva, who went wicketless, but he was enriched by some formidable friendships off the field. Former India medium-pacer and current bowling coach Bharat Arun says Siva was a favourite of all the West Indies cricketers. "Marshall and [Desmond] Haynes looked after him as their own son," Arun recalls. "LS would be the first person Viv Richards would enquire about when I would go to England to play league cricket." In fact, Siva and Marshall were hitting it off so well that Siva dared to needle him. "You are no great fast bowler," he said to Marshall, who then bowled Siva five bouncers to get him out in his first international innings. Marshall's cool response turned out to be a lesson. "Doesn't matter how I get them as long as I get them," Marshall said. "Whether you bat at No. 1 or 11, a Test wicket is a Test wicket." A fine talent was lost to drugs. I run by Siva some loosely assembled theories on why his career crashed the way it did. It's a different matter that, either as headlines or gossip, these have little currency now. But to get the basic idea, you only need to skim through tut-tutting meditations on players who didn't fulfil their early promise. Apart from Siva, Sadanand Viswanath and Maninder Singh regularly figure. The careers of the three have eerily similar trajectories. They were of similar age, made their international debuts in the same period, and were hailed as prodigies. Their decline was as swift as their emergence, and their days immediately after they finished playing were plunged in darkness. The tales lent themselves to tropes: misguided, arrogant, alcoholic, drug addict. Viswanath is said to have hit the bottle in depression following his father's suicide and his mother's demise soon after. In 2007, Maninder was arrested for possessing cocaine, and a month later was admitted to hospital with injuries to his hands. I half-expect Siva to either hiss in anger or sidestep the topic. He does neither. Instead there is an angst-ridden monologue about how he was failed - by the system, friends and the public at large. For the next hour and a half, Siva is not shy of claiming victimhood. He makes numerous references to being relentlessly "targeted and attacked", which left him psychologically wrecked. "Be on top of the world one point of time and the next four-five years you are rated as a drug addict, as an alcoholic, as a womaniser... ," his voice trails off before it hits a sarcastic note. "You can't be all three at the same time: if you are an alcoholic, you will be busy drinking. If you are a drug-addict, you are gone, you have passed out, how can you be a womaniser with that? All these three together is an impossible thing. If somebody has got that, he must have extraordinary skills." Siva was for a short period in the '80s linked to the Tamil film actor Khushboo. Whispers about their romance, and about the alcoholism and drug addiction, gathered critical mass once his form slumped. Siva believes he was at the receiving end of a malicious campaign, but can't get his head around who was behind it and why. There is only a mild shrug and a sideways shake of the head. "I have no clue." He says the story of his supposed alcoholism grew stronger with every retelling. In retrospect, he thinks a fondness for a beer or two at the Madras Cricket Club (MCC) after practice may have been his undoing. "If I practised at Chepauk, bowled for three hours, I would have a shower at MCC, have a couple of beers and come back home. I was called an alcoholic for that," he says. 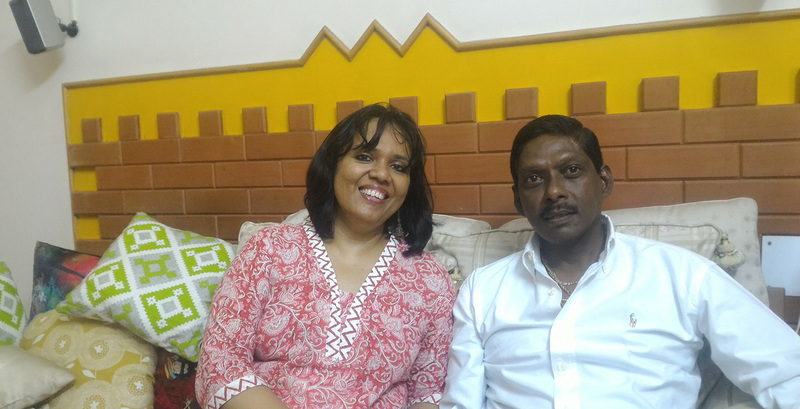 "Even the couple of beers I would have had, I would have been sitting and talking cricket with Venkataraghavan." "I have never had drugs in my life. Never," Siva cuts me off before I complete the question. "I smoke [cigarettes], yeah. I am not a big smoker but I smoke." Close friends, like Arun and former India batsman WV Raman, maintain Siva never had any problems with drink. But the rumours around his decline had the Chennai crowds hurling abuse at him. "They felt enormously frustrated that here was a man who could have been ruling the roost in international cricket," Raman says. "But they don't understand that it's not because of a lack of effort. It always happens in this state [Tamil Nadu] - once you are out of the [national] team and you come back to league cricket or state cricket, you get mothered by the crowd." Siva remembers more than one showdown with the crowd, some of which involved racial abuse. "Our society is such that something in us makes it feel nice to get nasty towards others," he says. "One of the strange things in Chennai at that point of time was, if you were a successful cricketer, there was some kind of stigma attached to it." Things became particularly bad for Siva after the 1987 World Cup, where, as it turned out, he played his last international match - at the age of 21. The trauma of being attacked personally became more important to him than his poor cricketing form. "It destroys you completely," he says. "I was a sensation from the age of 17 to 21. Now, all of a sudden, wherever you go, people are looking at you like you are a criminal. People who acted like the best of buddies - cricketers, so-called friends - would look at me and turn the other way. That's when I learnt who friends were." There were days when he remained confined to his house. That sparked rumours of him having gone missing. "My father would say, 'If people are talking about you, why are you having a beer in the club? You are most welcome to have a couple of beers in front of me. Why do you want to go out?'" Siva considered consulting a psychiatrist but then decided against it. In hindsight, he thinks that was a mistake. "We never believed in the theory of seeing a psychiatrist. It still is a [stigma]," he says. Siva's daughter, Hamsini, is now studying psychology in college; it is a choice he has encouraged wholeheartedly. He is a big believer in support systems within the family. He offers the Ajit Tendulkar example. "A lot of people think: why is Sachin giving his brother so much publicity?" he says. "But there needs to be a father figure within the family or within the friends circle to guide you. 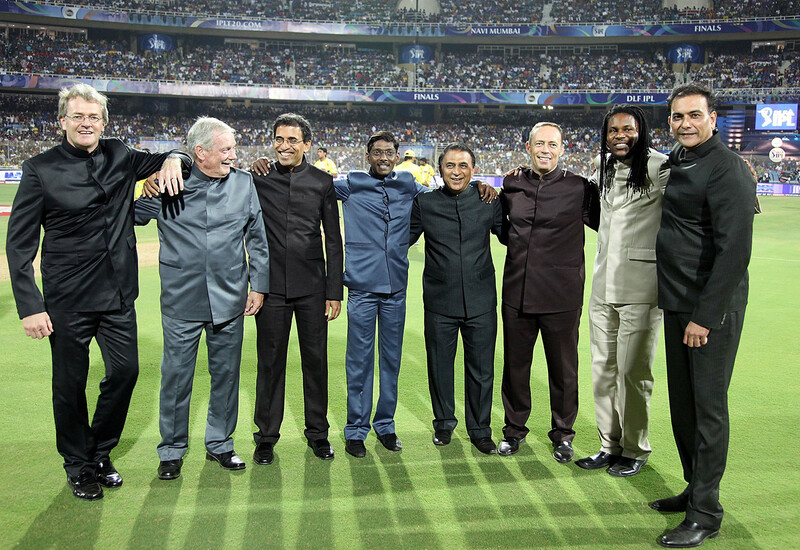 That's why you probably see Sachin not having too many friends." People close to Siva say he is a follower, someone who loves to be guided. His best mates - Shastri, Arun, Raman - are united in their assessment that with proper mentoring his potential would have been realised. But Siva's generation had little in terms of a professional set-up. "One of the strange things in Chennai at that point of time was, if you were a successful cricketer there was some kind of stigma attached to it"
India's support staff in the '80s usually consisted of only an administrative manager. One of Siva's big frustrations is that the reason for his form slump was never addressed. 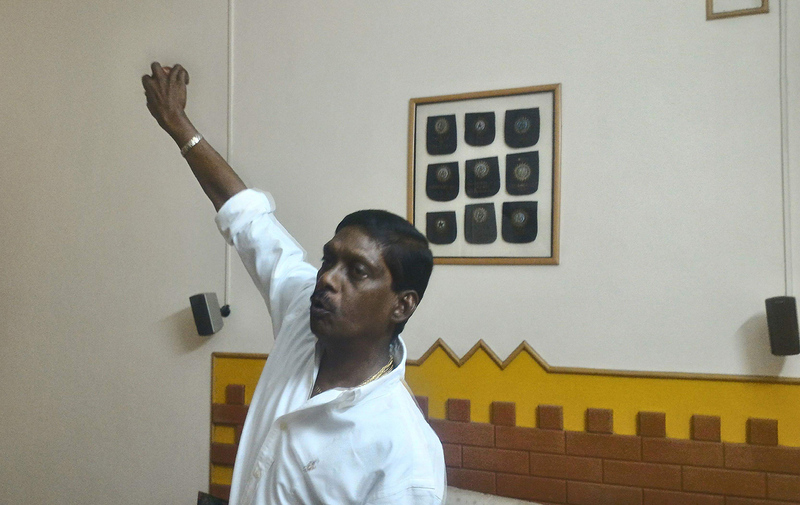 He concedes that he was bowling badly during Tamil Nadu's *Ranji Trophy title campaign in 1987-1988, but bemoans the complete lack of support by way of technical analysis, and thinks he corroded his muscle memory by bowling long spells with the wrong technique. He springs up from the sofa to demonstrate how his leading foot went "way too across, without the right alignment". A large part of his understanding of spin bowling and biomechanics came belatedly, as a commentator. For a while there were murmurs that Siva was trying to remodel himself to find a place in the team as an allrounder. He trashes such speculation by pointing to his batting in schools cricket, where he would consistently be slotted in the middle order. His troubles, he believes, began during India's tour of Australia in 1985-86, where he did his shoulder while throwing from the boundary. With no qualified physio in the team, he had to make do with ice packs and painkillers. The pain, however, didn't subside, and at one point Siva couldn't even rotate his arm. He thinks it might have been a rotator-cuff injury. "Nobody knew about all these injuries or rehabilitation," he says. "I kept on playing with that [and] it went from bad to worse. In the process I was bowling badly." The nightmare was only beginning. After he was dropped from his club side, Jolly Rovers, Siva was left fighting for his cricketing survival, and survival at large. Corporate cricket has always been big in Chennai, with players employed solely for their cricketing skills. But with Jolly Rovers not picking him, he had to part ways with Chemplast, the company that owned the club, on less-than-amicable terms. Siva was desperate to play cricket, any cricket. In 1991, he joined India Pistons, which had Venkataraghavan on its rolls. But the set-up there was glaringly different from the one at Chemplast. Here, he was expected to work a "regular" job. For seven years, his schedule involved leaving home at 6:45am for a 14km commute from his Alwarpet residence to the India Pistons factory in Sembiam, an industrial locality in north Madras. He was required to crunch numbers in the accounts department there until 2.30pm, before leaving for net sessions at Pachaiyappa's College, some eight kilometres away, where he would train till dusk. He initially drove his Maruti 800 to work, but soon swapped it for a Kinetic Honda scooter after the fuel bills punched a big hole in his take-home salary of Rs 8000 [approx $118 now]. "That's when I learnt a lot about how a common man really suffers to earn the kind of money he does." That Siva had dropped out of school didn't come in the way of finding employment, but it did diminish his stocks in the matrimonial market. It did not matter that he had played international cricket. In many South Indian middle-class and upper-middle-class families, a prospective groom is expected to have at least completed his graduation. The talk surrounding Siva's lifestyle made his search for a bride even more difficult. Raman, in fact, jokes about how Siva, a religious man, would have in his luggage pictures of "bachelor" deities like Anjaneya and Ayyappa around the time he was looking to get married. "At least get hold of guys who are mythologically supposed to have two or three wives, like Muruga or Venkateswara," Raman remembers playfully chiding him. He believes Siva took his advice. Siva was soon introduced to his future wife, Harini, by a common friend. They liked each other and were married in June 1995. Siva says he owes it to her for picking him up when his life was in disarray. Harini says she knew what she was signing up for. "I think he was pretty honest that 'This is what people say, are you sure about it?' I did have those questions from my parents as well, but they trusted me enough to know I knew my own mind." In 1997, Siva survived what he calls a life-threatening bout of leptospirosis, and the following season he joined India Cements - a decision that would prove to be significant - when their team was looking for a senior spinner to partner left-arm spinner Murali Kartik. That coincided with Tendulkar's invitation to Siva to help him prepare for Warne. "Sachin had made a statement that he [Siva] is still good enough to play," Siva recalls. "He said I had a few more years left and asked me not to give up." Siva realised that Tamil Nadu might not pick him, but encouraged by Tendulkar's words, he decided to switch teams, going to Baroda in 1998-99. He was under-bowled there and began to sense it was a false dawn. Siva knew that, at 33, his appetite for a national comeback had diminished, and he yearned to spend more time with his new-born daughter. As it turned out, a broken finger ruled him out of the 1999-2000 first-class season. The break led to his entry into a new world; commentary would become his road to redemption. What it's supposed to mean It's gone for six. What it really means Hello, my name is Laxman Sivaramakrishnan. Best rendered in A squealing singsong, rising to a fever pitch of fake excitement. Over the last decade or so Siva has been one of the most identifiable Indian commentators, and one of the most lampooned. Along with Shastri, he makes for good target practice on social media, where there are constant jibes about his dry, nasal monotone, a tendency to state the obvious, and his barely hidden support for the Indian team and Chennai Super Kings. There is, as is usual nowadays, an "I hate Laxman Sivaramakrishnan" page on Facebook. His peers in the box, Manjrekar and Harsha Bhogle, however, reckon Siva's is an underrated cricketing voice, and that he is a good reader of the game, well versed with the laws. Ajesh Ramachandran, a long-time TV producer who has worked with Star Sports and the BCCI, says Siva's versatility and awareness of broadcast discipline makes him valuable in the commentary box. "He is a great student of the technique of spin bowling; he can talk from both perspectives, of bowling and playing spin. We try to get him on when there is a good spinner on." Siva's first shot at commentary came during the 1999-2000 season, when he approached Doordarshan, India's state broadcaster, for domestic assignments. Shastri had already made his mark as a commentator and Siva was enthused by the possibility of following him. A year later, when Mark Mascarenhas of WorldTel was looking to launch a new Indian commentator during Bangladesh's inaugural Test, against India, Shastri asked him to "go for Siva". 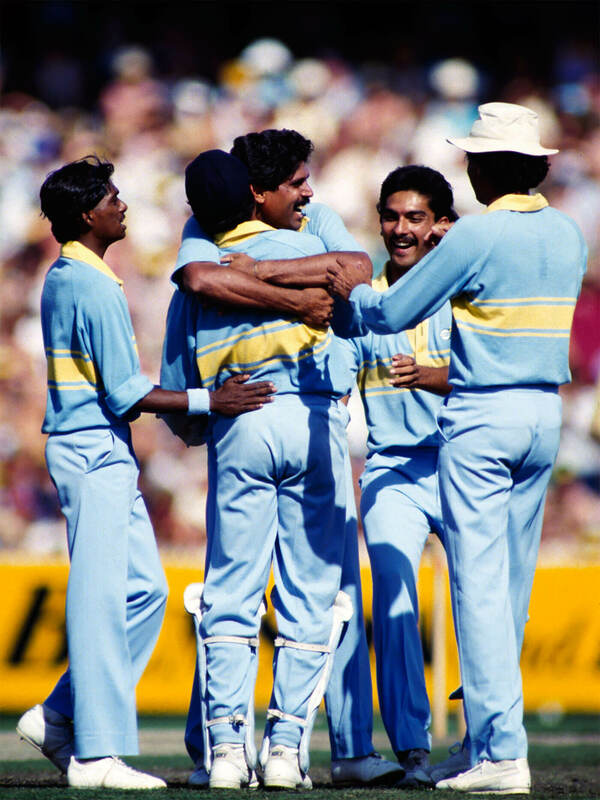 Siva recalls being nervous and a touch intimidated by the prospect of attempting to hold his own alongside Tony Greig, Ian Chappell and Michael Holding. Each evening during the Test he would go to the bar and spend an hour or two picking Chappell's and Greig's brains. But this time he had resolved to not drink - he says he rarely drinks these days. In the couple of hours I spent at the Sivaramakrishnans' there was not a word spoken in their mother tongue, Tamil. English, Siva says, had become the default medium of communication at his home. "My wife says there are a lot of commentators who think in their mother tongue and look for a suitable word in English. From that point of time we started conversing in English at home. My daughter at one stage could not speak Tamil, because for the sake of my career the three of us speak in English." Harini says she puts Siva through enunciation exercises, and keeps an ear out for vocal tics. "I find a lot of people start and then it tapers off - you can't even hear the last word," she says. "Little things like that, and I tell this to my daughter as well - English has a precise word for every little thing, so use that word." Siva's resurrection as a commentator, and then as an ICC player representative, has been inextricably linked to the former BCCI president and ICC chairman N Srinivasan - also the vice-chairman and managing director of India Cements. Srinivasan even reportedly stepped in to ensure a favourable commentary contract for Siva, while shooting down BCCI production chief James Rego's objections. "My daughter at one stage could not speak Tamil because, for the sake of my career, the three of us speak in English"
Srinivasan is vague about the incident. "I don't know where you got all that," he said to the Cricket Monthly. "One cannot go into the specific details of a particular decision concerning any operational aspects of the BCCI. 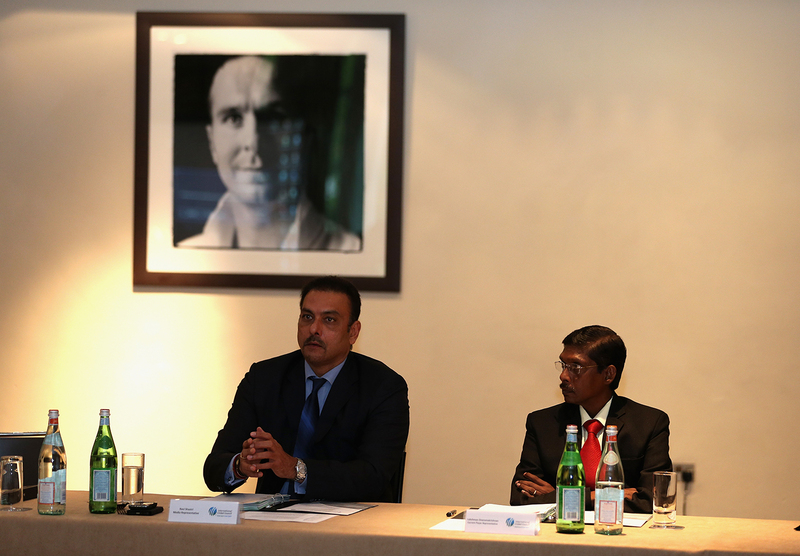 All I can say is, BCCI has a hierarchy and a process, and I think all that was followed." He admits to a tinge of disappointment that Siva's career fell away, but says it isn't a case of having a "soft spot" just for him. "I have a soft corner for all cricketers." Siva gets defensive when I bring up the commentary-contract episode. He reads out from his iPad excerpts from an Indian Express article about Srinivasan's alleged interference. "The working committee has approved of my commentary contract, and there were some people who were playing tricks," he says. When I ask him what the motive behind such actions could be, there is again a hint of persecution. "I don't know why I am a target. Maybe because I am from down south. Nobody from Tamil Nadu has done 15 years of international commentary." Siva, however, says his loyalty has always been with the board. "I have done commentary only for BCCI for the last 11 years. That's because I have always been a BCCI boy, and all the presidents and the secretaries over the years have been nice to me." His current two-year contract comes up for renewal on March 31. He does not shy away, though, from acknowledging the role of Srinivasan, whom he calls a "father figure". "Whatever I am today is because of India Cements. The kind of respect and importance they have given me, I gained all my lost confidence, security and the freedom and liberty to do what I want to do. They gave me everything. Mr N Srinivasan said: 'You are a Test cricketer, you shouldn't be doing a desk job. You contribute to cricket in whichever way you want.'" One former India cricketer says it is glaringly obvious that Siva is beholden to India Cements and Srinivasan. "If he is so good, why hasn't he been approached by any other production team to do commentary?" he asks. "In his endeavour to please his bosses he is obviously losing a lot of credibility. He wants people that matter to know he is the voice of BCCI in the commentary panel." Manjrekar feels Siva "could maybe give more in the commentary box than he does, but I guess that's his nature". The Srinivasan connection came under scrutiny when Siva was elected as the player representative on the ICC's cricket committee in May 2013, replacing Tim May, the Federation of International Cricketers' Associations (FICA) chief executive. Ian Smith, FICA's legal advisor, had said there was direct pressure from member boards on their captains to amend their votes. Srinivasan vehemently denies influencing the outcome. "It is not a question of throwing my weight, it's a question of voting. This is a question I could have answered in greater detail if I was not chairman of ICC, because I have the respect for the institution I chair [Srinivasan had not been replaced by Shashank Manohar at the time of the interview]... Eventually what came out was, he was still the winner, he had more votes. Somehow lot of other aspects of this election was brought about, but I don't want to go into all that." It's a strange paradox that a person nominated by the Indian board, which neither recognises FICA nor has a players' body of its own, should be the players' representative globally. FICA executive chairman Tony Irish told the Cricket Monthly in an email interview that there has been a lack of "genuine player input" since May lost his position. "If an individual represents the current players then he should have the ability to canvass the actual views of the players on the issues that are on the agenda and take them to the committee." "Nowadays, I don't care a damn about what people say. If I had the same attitude I have today when I was playing, I probably would have played a lot more"
Irish also said the voting dispute that was referred to an ethics officer was "never properly resolved for various reasons". He hoped that a change in leadership at the ICC would result in players being made central to discussions on issues that affect them. "Unfortunately neither we nor the players are able to assess that [Siva's performance]. Latterly ICC even stopped sending us the papers for the cricket committee, so we weren't even made aware of the specific issues under discussion." Siva thinks this a case of sour grapes, and adopts the defence that the likes of Shastri and Virat Kohli have done lately - that anything India does is scorned. "May had a long stint," Siva says, "and whatever he wanted to achieve he could have achieved in that period." Whether he is dealing with criticism of his commentary or of his ICC role, Siva's posturing is Shastri-esque. "Nowadays, I don't care a damn about what people say. If I had the same attitude I have today when I was playing, I probably would have played a lot more. "That's where [Navjot] Sidhu's quote comes in handy: 'If people are messing around with you, you are a success. No one wants to go near a failure.'" 09:00:49 GMT, March 2, 2016: Initially erroneously qualified as "maiden Ranji Trophy title campaign"
Is there something in the national character that makes young talents taper away unfulfilled? That ensures brilliance is too easily satisfied?